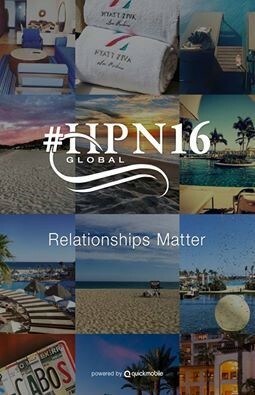 #HPN16 is approaching FAST and that means another amazing relationship building event in a beautiful and exciting location. This year our network will be in Mexico at the Hyatt Ziva for 4 days of building new relationships, strengthening existing partnerships and getting caught up on industry trends and topics. Every year since 2010 this conference has deployed a QuickMobile event application. The application serves as an all in one place mobile friendly event guide providing attendees with a one stop location for all things #HPN16. Some cool features attendees will find in this year’s mobile event app include an activity feed that allows all attendees to share with other attendees, a full listing of the daily event agenda and schedule, a full list of speakers and topics that will be covered, an area to feature and showcase our sponsors, surveys and attendee to attendee messaging. Another fun part of our application this year is the Play to Win feature. This group is made up with some pretty competitive people and this part of the app always gets great engagement which is exactly what we are looking for! Engagement among our attendees inside the application before, during and after the conference. The play to win area of the app is designed to reward users of the app with points and as you earn those points you climb the leaderboard. 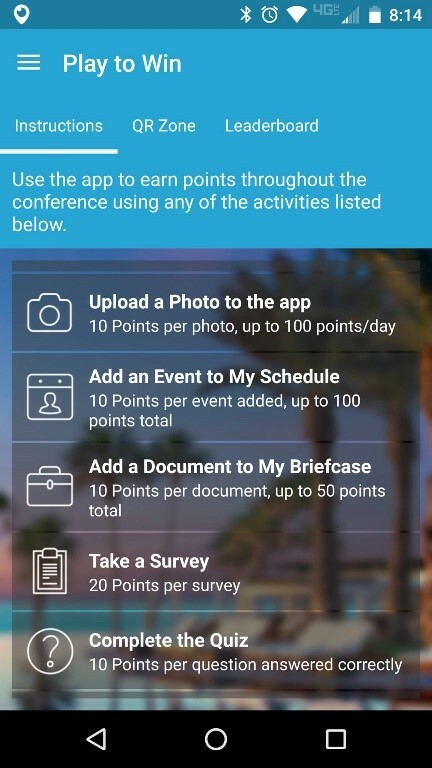 A new twist on the points this year has been added and attendees can now redeem points earned in the app for surprises throughout the event. In years past your points simply allowed you to climb the leaderboard, but this year you can use those points for other cool things. More details about this will be shared inside the app once the app is live! We are looking forward to this event and look forward to seeing everyone inside the app! Interested in being one of the first to get notified when the app is ready? Simply Text HPNGlobal to 41411 from your smartphone and we will send you a link to download the app.